Tests Don’t Show What You Know!! I know of a lot of people -myself included- that have test anxiety. Those of us that have it know the feeling of sitting down for the test… and then having our minds go completely blank. And the ironic part is: we KNOW that we know the answers on the test. 2) The majority of teachers that I have known, actually expect their students to memorize the work they do throughout the term and/or year. Then, they expect them to dump out all the information they have learned throughout the term and/or year in order to take the test… No book… no notes… nothing. Unless you have a photographic memory, to remember everything that you learned for the test seems daunting, and near to impossible. The majority of people that I know of, attempt to memorize and dump out the information for the test. And then they realize… that they actually didn’t learn anything. The student might have gotten an “A” or a “B” on the test, but they still didn’t feel like they learned anything. I have felt this way on more than one occasion. 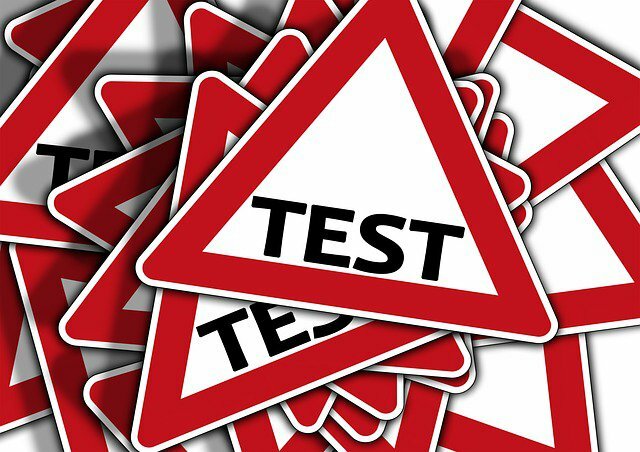 3) A regular test is one thing, but once it’s called a “timed test”… no way!!! Not for me. I’d rather have the modified version of the test and I’ll take it in a separate, quiet, room where I can take my time on the test, thanks! There is nothing wrong with asking for help, or for asking if you can have your test modified, or even just asking to take it in a separate, quiet room away from distractions. If you are anything like me, seeing people getting up, turning in their tests, and then leaving the room, makes me even more anxious and nervous about the test. During my experience from back in high school, and -more recently- college, I have learned a lot more from doing final projects rather than from taking a test at the end of each term and/or school year. The fact it this: students are more engaged in the project that they’re putting together. They learn more, and they get the chance to put their own creative twist on the final project. The majority of the time, the student will look back on the final project and say to themselves, “I really learned a lot from this.” And the other great part about doing a final project is that it can be fun. …My personal opinion here… what is so fun about stressing over having to take a mind-numbing test, when you can do a final project instead?? You not only learn from your own final project, but you also learn from the other students’ final projects when they present theirs as well. Those were my thoughts for the day! 🙂 I hope you enjoyed reading!